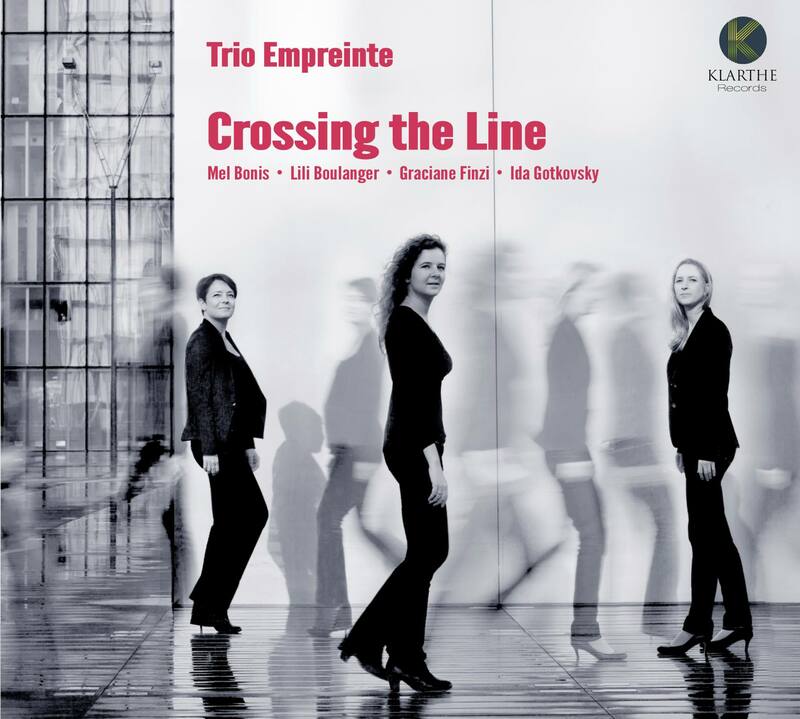 In her own characteristic musical idiom, each of the four composers included in this recording has risen to the challenge of breaking through the limits of her time period, while not completely disavowing it. Indeed, authentic novelty in music does not always involve going beyond the confines of one’s epoch: it also means being at a crossing point, standing on the line that separates the old from the new, classical from contemporary, holding firm between two shores, in order to bring a shared resonance to what was, what is, and what will be. Playing with the conventions that govern chamber music formation: this is the bold initiative of the Trio Empreinte. 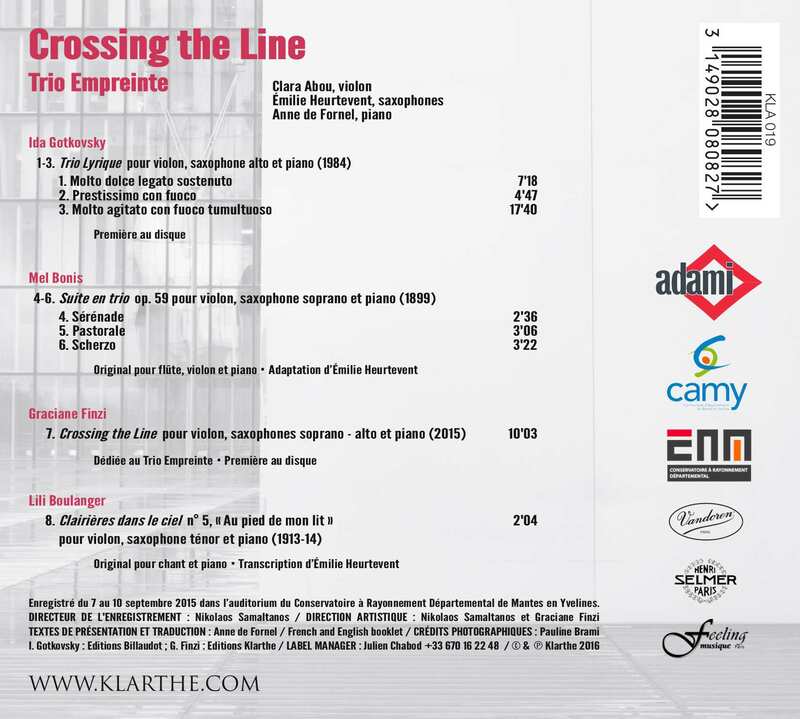 The combination of the violin, saxophone and piano creates an innovative sonorous universe that is strange and familiar all at once–another manner of crossing the line.